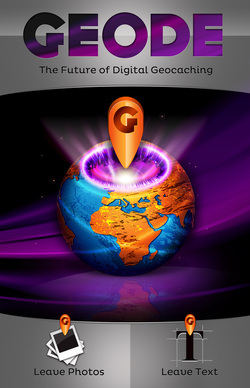 The Geode App is a FREE game-based tool that lets you, the user, leave a photo, text or a combination of both at your current GPS coordinates! Later, other users will be able to find the content you "dropped" when they get close to it! -Drop pictures and text anywhere in the world! This is a powerful tool so start playing today and leave pictures and text for others to find!